Oh dear! It's already February 1 here. I feel like January went by so fast! It just came and now we are all saying bye bye to it again. So what happened to me on the first month of this year? Hmmm.. Let me start of by telling you guys that I am doing field works for now. I am kind of bummed about it because it's not actually related to my profession. It's far from doing laboratory works. Since our company is not entertaining too many clients for now, our boss decided to dispatch me to a maritime training center. What I do is to conduct a simple medical for their trainees like taking their vital signs, blood pressure and vision screen. At first I was not okay about it. Like I tell myself why am I doing this type of job. I belong in the lab and not outside of it. But in the latter part I kinda got used to it and find it a bit of fun talking to my patients one on one. Making a dish he requested! I have to admit. I'm no cook at all! I only know how to boil an egg and fry stuff but I cannot for the life of me can create something delightful lol! 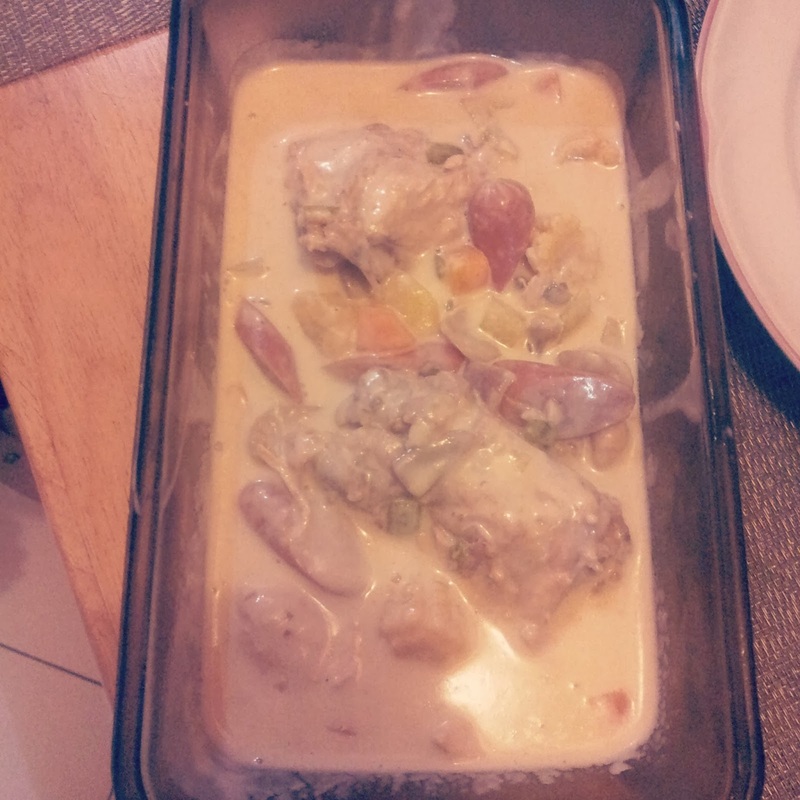 But since he requested for this dish, I had to actually search for the recipe and procedure on how to make a "Chicken Pastel"
Good thing I found a very simple way of cooking it through YT! And voila!! He loved it guys! And I can say I did a pretty good job lol! It turned out good guys! Surprisingly lol! Now let's move on to my spiritual life, I did not do well on this department :( I only attended 2 Sunday service for this month. The star stickers represents my attendance on our church. And for me sticking that every Sunday is an accomplishment so I really have to make up for that this month and the coming months! On another note, here is my January accomplishments. I will be including this on my monthly recap from now on. I am using the barnes and noble punctuate monthly inserts and its so perfect for me to write down all my accomplishments every month instead of using different types of loose leaf papers.